Join us Friday, May 3 for our monthly First Friday Breakfast from 7-9 a.m. at the Westin Carlsbad Resort & Spa. This signature facilitated networking opportunity, is one of the most popular and well attended Carlsbad Chamber events. Each attendee is assigned to a table of 8 business professionals from all different industries. A trained facilitator guides the networking conversation which allows for more intimate relationship building and optimal efficiency. Wendy Darling is the co-founder of GTD (Go The Distance) Consulting and the Miraculous Living Institute. With over 37 years of experience as a management and organizational development consultant, corporate influencer, relationship and transformational results expert, speaker, seminar facilitator, master healer and coach, her entire career has been dedicated to the decoding of what needs to happen to create RESULTS. 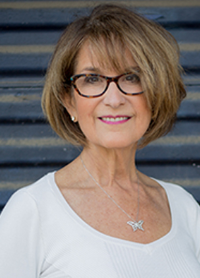 Wendy blends her psychology, management and organizational development experience with her unique healing gifts and processes into what is now the Miraculous Living MethodTM, a comprehensive system that creates permanent change.